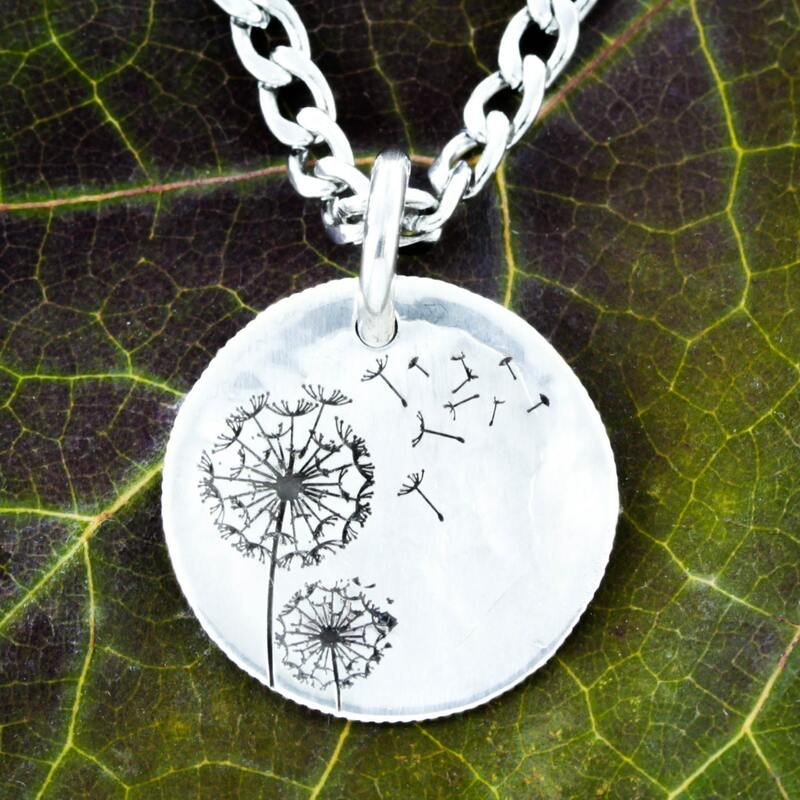 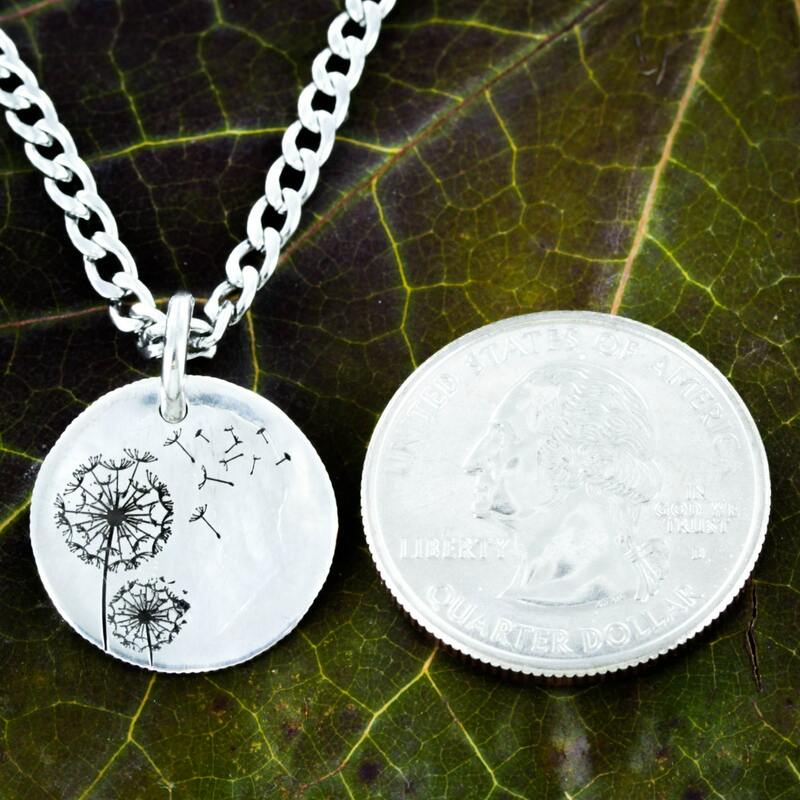 This is pendant is hammered silver that we have engraved with dandelions blowing in the wind. 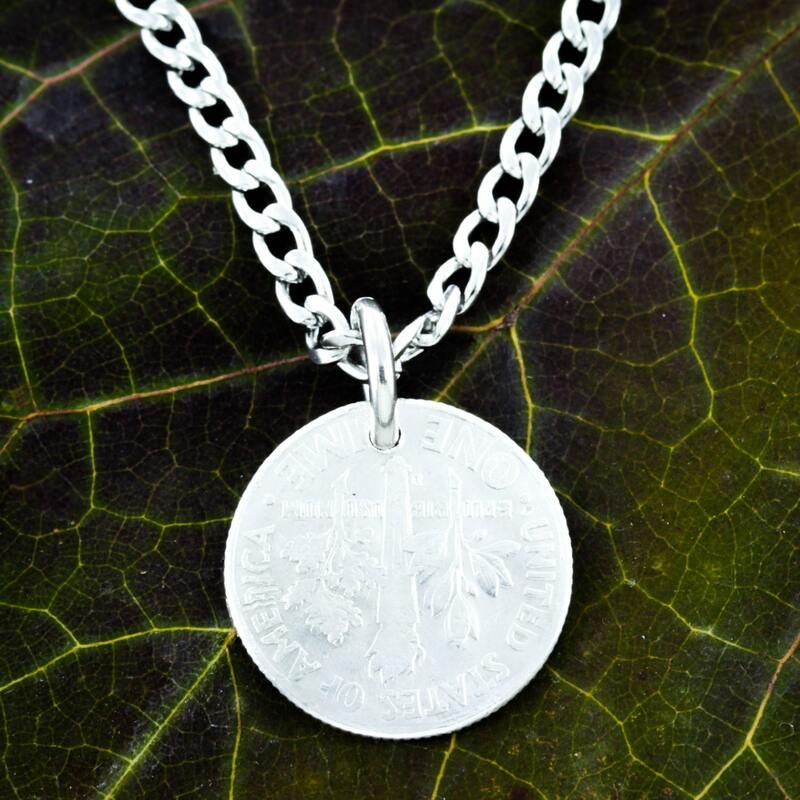 We engrave deeply into the silver so it will last forever. 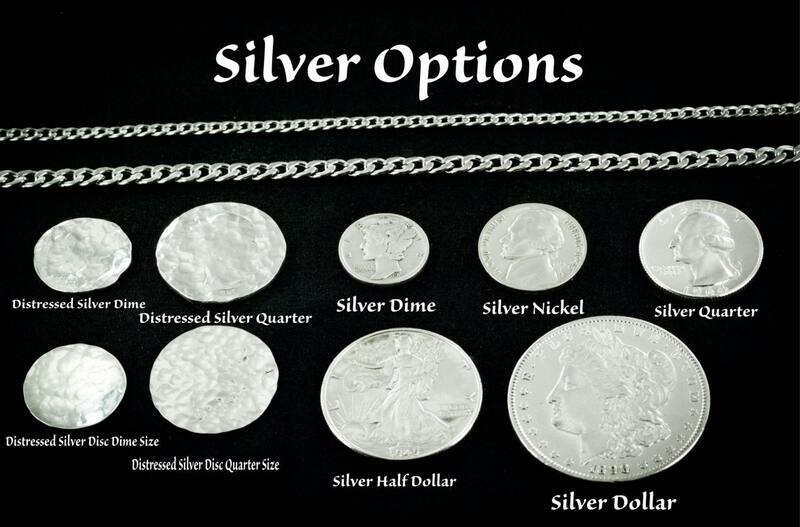 We use a hammered silver dime or quarter (they are thicker and distinctive).